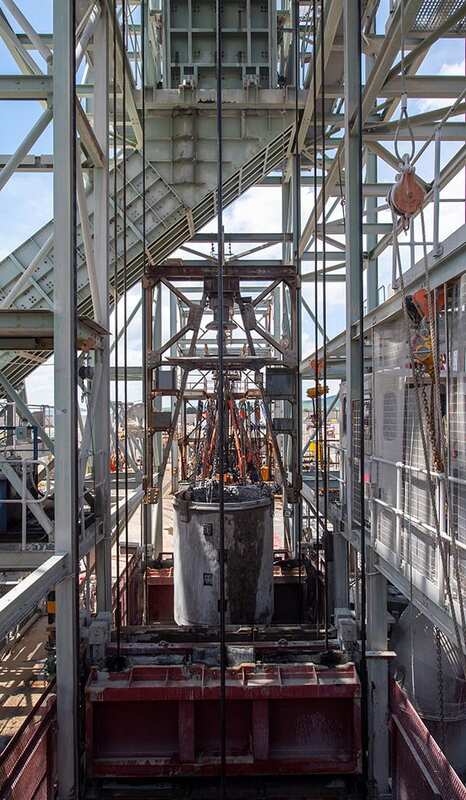 Moolmans is a world leader in shaft sinking and access development, with expertise to sink and equip both vertical and decline shafts of various diameters to depths of more than 2 000 metres and through all types of rock formations. The company has the technical expertise and resources to deliver multi-disciplinary projects that include design work, civil works and mechanised mining. Innovative and cost-effective techniques are used in the execution of pre-sinking as well as mechanised sinking to complete a fully-lined and equipped shaft. Our capabilities include the manufacturing and installation of headgears, surface infrastructure, and sinking stages.